Articles on holiday over-eating always appear as Thanksgiving approaches. Throughout my career as a zookeeper, a variety of creatures have amazed me with their abilities to consume massive meals. Reptiles and amphibians are the most impressive diners, with a 60 pound deer, swallowed by a wild Green Anaconda, being my most notable observation. But several others take even larger meals, comparatively. For example, one Fer-de-Lance (Bothrops atrox) successfully consumed a lizard that exceeded the snake’s weight by over 50%! The 17 young Spitting Cobras taken in a single “sitting” by an African Bullfrog are also worthy of mention. From Star-nosed Moles to Asian Elephants, the mammals I’ve cared for have impressed me as well. Please feel free to quote my stories if friends and family criticize you for over-indulging this year, and have a Happy Thanksgiving! 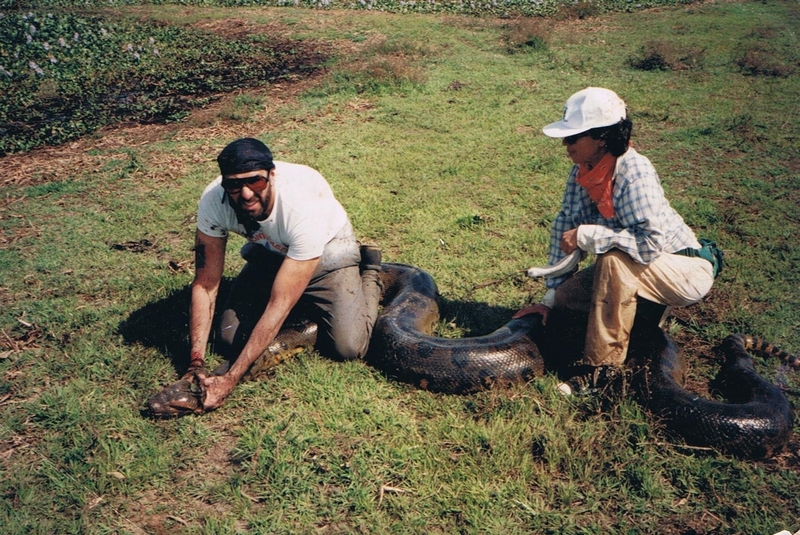 I’ve had the good fortune to work with Green Anacondas for many years, in both the wild and captivity, and I’ve written several articles about their amazing appetites (please see links below). A 60 pound White-tailed Deer regurgitated by a massive wild female topping 17 feet in length remains the largest snake meal I’ve witnessed. 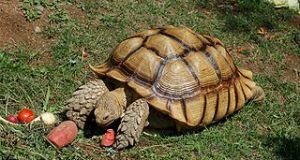 Other memorable Anaconda food items include a 5-foot-long Spectacled Caiman, a large Red-footed Tortoise, and a hefty Giant Side-necked Turtle. The world’s other giant constrictors – Reticulated, Burmese, Indian and African Rock Pythons – are also champion diners. The largest meal I’ve been able to track down in a published source is a 130 pound Impala taken by African Rock Python. A captive 25-foot-long Reticulated Python came close, consuming 138 pounds of food (Ibex, domestic goats) over several days. Please see the linked articles for details. But it is among the vipers that we find the true gluttons (or eating champs, depending on your point of view!). In his spectacular book Snakes, the Evolution of Mystery in Nature (U. Cal. Press, 1997), Harry Greene recounts examples of Viperids consuming prey that exceeded their own body weight. I was amazed to read of a Fer-de-Lance (Bothrops atrox) that ate a Whiptail Lizard which outweighed the snake by 56%, and a 23 gram Hog-nosed Viper (Porthidium nasutum) that swallowed a 29 gram Spiny Pocket Mouse. Mr. Greene likened such feats to himself downing a 200+ pound hamburger, intact, in less than 1 hour, and without the use of hands or utensils! Gaboon Vipers are well-known as large-meal specialists. Those I’ve worked with have awed me with their mass, and I have no trouble believing that a wild specimen was found to contain an antelope (Red Duiker) that was 4% heavier than the snake itself. A Harlequin Coral Snake (Micrurus fulvius) – not known for taking massive food items – was able to down a Glass Lizard that exceeded its own weight by 37%. While most people who overdo it at Thanksgiving suffer a variety of discomforts, snakes have no such worries. Recent research has revealed that some have evolved a truly remarkable means of adapting to large, infrequent feeding bouts. Within 24 hours of a meal, the liver and intestines of Indian Pythons actually grow larger! Eventually, the intestine’s diameter increases by 30% and its mucus membranes, responsible for nutrient absorption, become 3x thicker than usual. The liver’s circumference becomes 2/3 larger than its pre-meal size. All returns to normal within a week or so after a meal has passed through the intestinal tract. I wouldn’t be surprised if other herps were found to have unique digestive adaptations as well. However, I can’t help but think that the cobra-eating African Bullfrog described in this article suffered at least some digestive distress! I have wide interests, and was, for a time, the Bronx Zoo’s head mammal keeper. Over time, I’ve had experiences feeding some of the world’s tiniest and largest mammals. 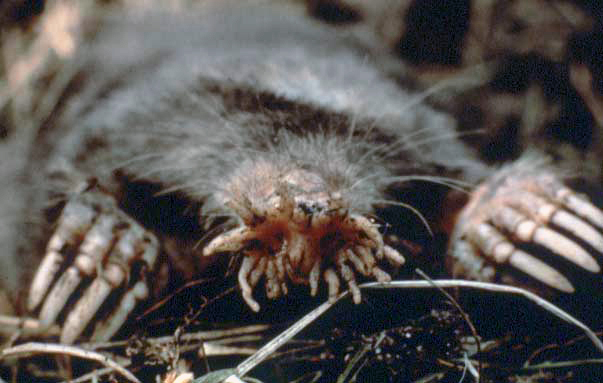 Back in my early teens, while working at a nature center in New Paltz, NY, I came across a Star-nosed Mole. Bizarre beyond belief, it was gorging on earthworms driven to the surface by heavy rains. I grabbed the surprisingly-powerful creature and popped it into a large coffee can. I tossed in several earthworms, and was shocked to see the mole slurp them down as if it was in its usual habitat! At the time, I was in charge of collecting and caring for a huge array of animals, including woodchucks, baby raccoons, flying squirrels and numerous native herps, birds, and insects, and simply could not keep up with the mole’s appetite. Reluctantly, I released the ravenous little beast – I’ve yet to come across another. I also kept another small insectivore, the Short-tailed Shrew. Driven by a heart that beats over 1,000 times per minute, these hyper little guys were quite common in fields at the Bronx Zoo. I trapped several, and kept them for varying periods. 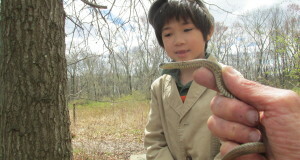 Just recently my nephew and I came across one while we were feeding some Chipmunks. The little guy surprised my nephew by hauling away a huge chunk of cheese bread (one of the few times I’ve seen this equally ravenous 6-year-old part with such a delicacy!). Most shrews consume at least 1.25 x their bodyweight in food each day. By contrast, the Asian Elephants I cared for ate only 1-1.5% of their body mass daily. But this amounted to 300-375 pounds of yams, carrots, hay and such, delivered by the wheelbarrow-full…and nearly equal amounts of elephant waste. I much preferred caring for shrews and moles! People as Python Prey: Surprising Statistics! Next: Working with Spitting Cobras…and Getting Snake Venom in My Eyes! Very cool overview, just in time for the holidays. Amazing information on the way a snake’s digestive system changes while digesting a meal. I wonder if my geckos go through similar internal changes. Wow! 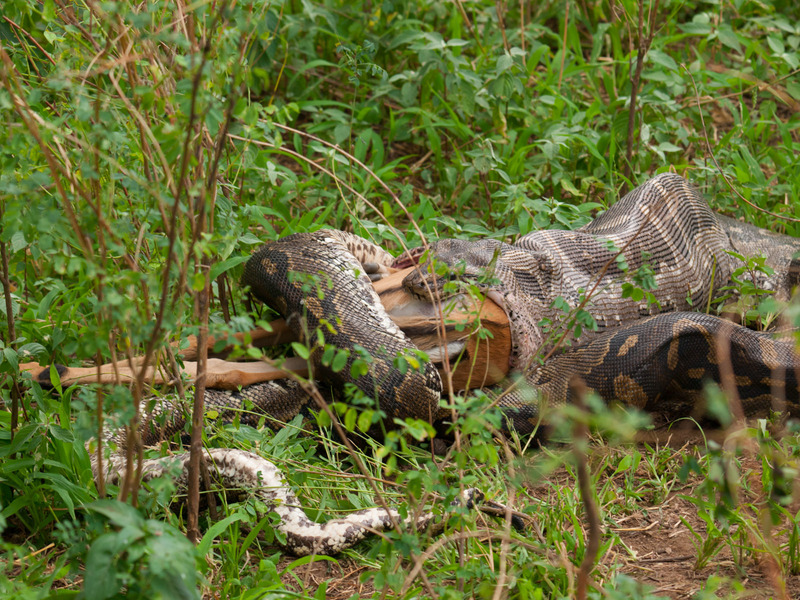 That first image in this blog post with the python swallowing the deer was quite impressive. Did you or a colleague take it? I’m wondering if you have the source of it and if there are other pictures of this very impressive feeding.